With NutriFlair, you can sit back, relax, and Trust your Supplements! Quality is our Culture. That’s why we use independent, third-party labs to Test, Verify, & Certify ALL our products, for Quality, Purity, and Potency. Experience the Amazing Benefits of Ashwagandha with the “NUTRIFLAIR ORGANIC ASHWAGANDHA WITH BLACK PEPPER” supplement. 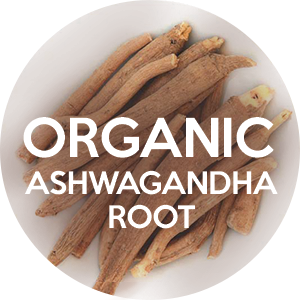 Ashwagandha is one of the most powerful herbs in Ayurvedic healing. 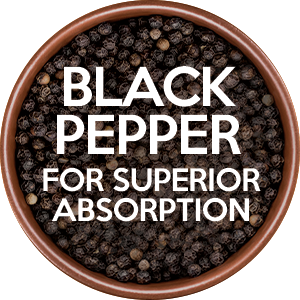 It is well known for its many restorative and rejuvenating benefits. 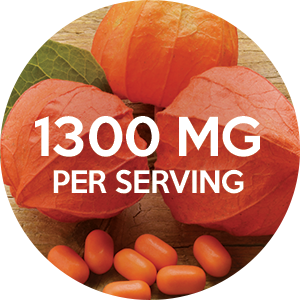 NutriFlair is offering this 1300 Milligrams (per Serving) 120 Capsules bottle of our supplement which has been proven and tested for anxiety and stress relief, energy boost and immune system jump. 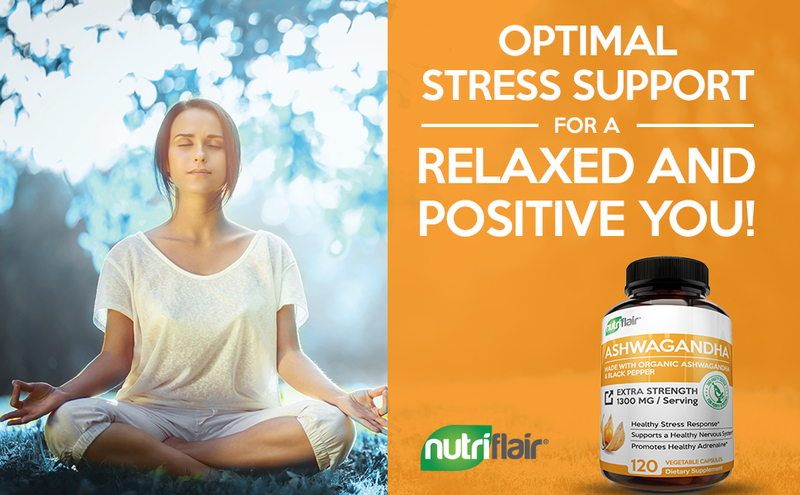 If you have tried everything possible for chronic anxiety then it is time to toss those cheap, ineffective remedies away, and make sure to give NutriFlair Organic Ashwagandha Pills with Black Pepper supplement, a try! Using our recommended dosage of NutriFlair Ashwagandha Capsules can help with the above symptoms, as well as promote and support an Energetic and Rejuvenating sense of well-being. NUTRIFLAIR – Finest Ingredients. Healthiest YOU! At NutriFlair, we have made Quality our Culture. Transparency, Purity, and Quality are important to our customers, and we have made it our business to ensure that all our products are manufactured in the USA, in an FDA registered, approved, and inspected state-of-the-art facility, with strict adherence to current Good Manufacturing Practices (cGMP). Our finished products are further Tested and Certified by a third-party lab for Quality, Purity, and Potency. With NutriFlair, you can indeed sit back, relax, and Trust your Supplements!